The Mandel Scholars Academy curriculum nurtures the region’s future leaders through integrated learning that combines classes, seminars, lectures and events focused on civic and community engagement. You will work collaboratively with community organizations and leaders through guided coursework in the humanities — with a special focus on leadership — while learning about the community, our region and its vibrant history. The program will provide you with a pathway to study leadership and develop your own leadership skills. It is intended to help you to recognize your own potential and to create positive change for yourself and the community. Required outside activities and programming that complement a Mandel Scholar’s academic coursework. 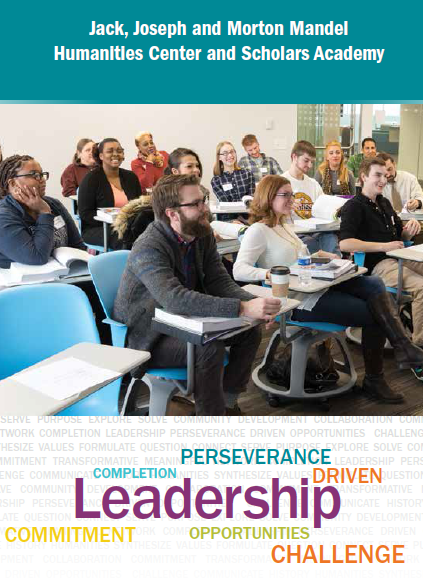 Every new Mandel Scholar is paired with a Tri-C administrator, faculty member, or staff who have completed the Mandel Leadership Development Program at the College. The mentor will serve as a trusted guide to help students navigate their personal and career goals. Check out the article about two Mandel Scholars in Tri-C Times. The Mandel Scholars Academy is a college-wide program.